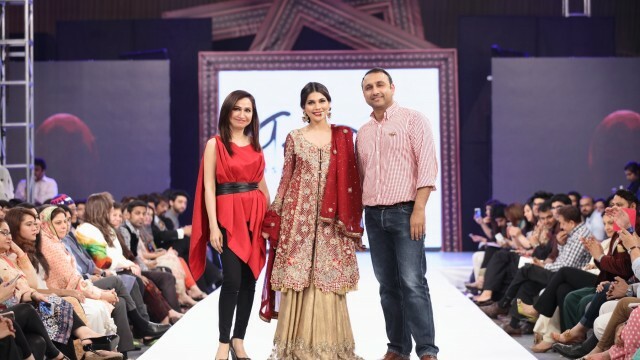 The Shaan-e-Pakistan event, which housed Indian and Pakistan designers for three days in Lahore, came to a starry end on March 22. The event was flooded by special guests enthusiastic to witness collaborative initiative of designers from both the countries. “I have never seen models walk the ramp for Indian designers before. So, I am very excited,” Kashaf Iqbal told Pakistan Today. “Actually our cultures are so alike that there aren’t many differences in our design concepts. But those little differences are what attract us towards each other,” said Asifa of Asifa and Nabeel, speaking of Indian design philosophy. The third day of Shaan-e-Pakistan was all about the ramp as it showcased 18 designers – Ahmed Bilal, Aisha Imran, Barae Khanom, Bibi Russell, Braahtii by Huma Nassr, Cara Collection, Jyoti SachdevIyer, Rung Ja, Salman Haye, Waseem Noor, Republic Women’s Wear, Hammadur Rehman, Studio by AV, Style D’Elegance, Elisha Wadhwani, FIA, Zubia Motiwala, Asifa and Nabeel – from across the fashion tiers of Pakistan, India and Bangladesh. 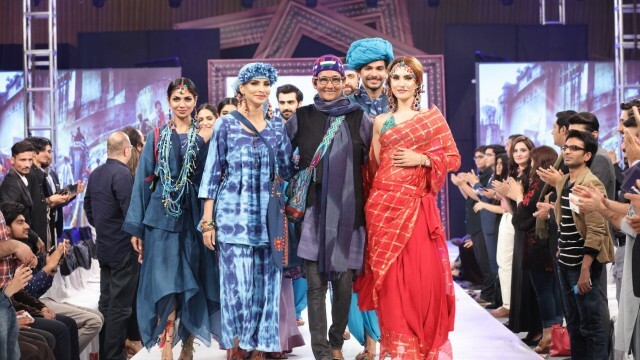 Indian film actor Zeenat Aman graced the ramp as showstopper for Braahtii by Huma Nassr, while Pakistani actress Resham walked the ramp for Ahmed Bilal and TV actress Fiza Ali opened the show for Waseem Noor with her debut song at the fashion showcase. An initiative by Huma Nassr of Braahtii, Shaan-e-Pakistan was held in hopes to create better pathways between Indian and Pakistani fashion and lifestyle talent to showcase their work on a unified stage. “Indians want to see Pakistani artists and vice versa. Individuals did cross the border before, but Kya Dilli Kya Lahore is a great concept through which people can cross the border in large numbers,” Tarjeet Singh said while talking to Pakistan Today. The event’s first edition was held in New Delhi in September 2015. Talking about her experience of the event back in India, Asifa said, “It was a great feeling to have crossed the border and not feel like you are in a different country”. The third edition of Kya Dilli Kya Lahore will take place in New Dehli in October this year. “Even if the way, to and from the countries, do not open, such events will keep the hope and cause of peace and harmony between the neighbouring countries alive,” added Tarjeet Singh.